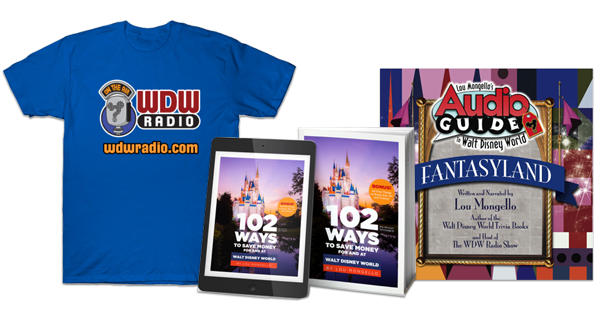 The votes have been cast, the red carpet is unfurled and the WDW Radio Blog is ready to announce the winners of the inaugural Walt Disney World Awards! And the winner is…John, Walt Disney’s Carousel of Progress. The father of the Carousel of Progress family appears in four scenes depicting the turn of the century, the 1920s, the 1940s, and the eve of the 21st century. In the original 1964 New York World’s Fair version, John was voiced by Rex Allen (the current voice of Grandfather), but when the show reopened following a refurbishment in the 1990s, American humorist Jean Shepherd (the writer of “A Christmas Story”) took on the role. And the winner is…Haunted Mansion. The word “design” entails the overall setting, structure, ride-system, special effects, multi-sensory elements and much more, which are masterfully synthesized to make the Haunted Mansion one of the most time-honored attractions in any Disney theme park. From the howl of the wolf to shadows seen in windows, the mansion’s exterior builds a sense of uneasy curiosity that beckons guests to enter. Once inside, set design, lighting and props are the pillars on which the story is built. Aboard the Doom Buggies, the Omnimover ride system allows Imagineers to create targeted sightlines so riders experience each creep, creak and disquietingly cool breeze. Every sector of Imagineering works in concert to create a design so successful that WDW Radio readers named Haunted Mansion the champion in last year’s Magic Madness. And the winner is…Jungle Cruise. Guests who boarded the Jungle Cruise on Disneyland‘s opening day in 1955 heard a very different script from the lighthearted, pun-filled, sarcastically witty spiel heard today. At the height of Walt Disney’s True Life Adventures series, the script was more in the vein of a documentary. It was not until a later refresh of the attraction by Marc Davis that the script took on the humorous side it now showcases. And the winner is…Main Street, U.S.A. The background music on Main Street, U.S.A., includes a number of songs from throughout the 1900s and early 2000s. Songs like “Old Timers Waltz Medley,” “Junkman Rag,” and “Goodbye, My Coney Island Baby” are turn-of-the-century pieces, while others such as “Put On Your Sunday Clothes” (from Hello, Dolly! ), “Summer Magic” and “Flitterin'” (from Summer Magic), and “The Wells Fargo March” (from The Music Man) are all found in musicals from the second half of the 20th century. While “Married Life” (from Up) is from the 21st century, it blends in so well with the setting that it feels like it was written for Main Street. And the winner is…There’s a Great Big Beautiful Tomorrow. A joyous song about the prospects of the future, this tune could be considered an anthem of sorts for Walt Disney himself. While it is identified with Walt Disney’s Carousel of Progress in Walt Disney World, the song was also heard in two former attractions: Innoventions in Disneyland where it was performed by Nathan Lane, and Epcot‘s Horizons where it played in one of the show scenes. And the winner is…Haunted Mansion. Perhaps the most amazing thing about the Haunted Mansion‘s special effects is their simplicity. Low-tech effects such as optical illusions, Pepper’s Ghost (Ballroom Scene) and projections are used throughout the Mansion. One such example are the “Greatest Ghost Writers” statues, eyes on the wallpaper and faces in the paintings that can be found throughout the Mansion. By projecting or painting the eyes and/or faces onto a concave surface or impression and applying the correct lighting, they seem to follow you wherever you go. And the winner is…Haunted Mansion Maids and Butlers. It is clear that any Cast Member donning the maid or butler uniform of the master’s “delightfully unlivable” mansion, not only puts on a set of clothes but an entirely different persona. The very best maids and butlers wear their uniforms in such a way that guests begin to question the mortal state of the individual leading them through the entryway. Perhaps the costume and the performance go hand-in-hand when it comes to the popularity of the uniform. Whatever the case, the Haunted Mansion maids and butlers are so well liked among guests that Disney has begun selling uniform t-shirts and aprons as part of the Haunted Mansion Collection. And the winner is…Pineapple Dole Whip/Float. Many consider this snack to be the best food item in all of Walt Disney World property. Perhaps its popularity derives from the fact that it can be enjoyed by such a wide array of guests. Because the treat is both vegan friendly and gluten free, it is one of the few classic Disney favorites open to guests with special dietary needs. 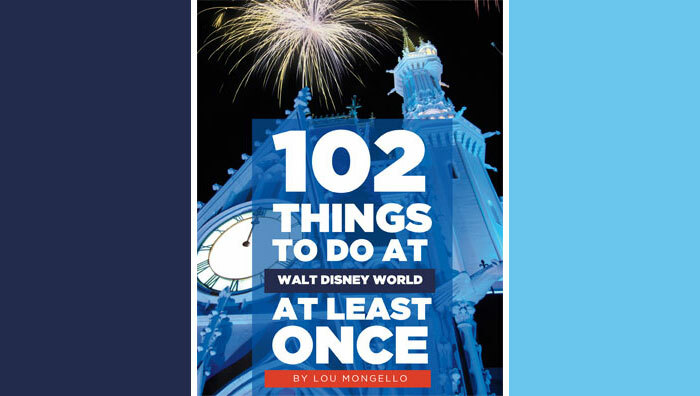 Kendall is an editor and contributing writer for WDW Radio. She began visiting Walt Disney World in 1991 with her family and has continued to visit the resort with her husband. Her home-away-from-home is Disney’s Polynesian Village Resort, and she believes a perfect day at WDW includes a dip in the Lava Pool, a ride on Splash Mountain and a Pineapple Dole Whip. Follow her on Twitter @kl_foreman. The inaugural WDWRadio “WDW Awards” was great fun, Kendall! There were a couple of surprises for me in terms of nominations as well as winners. Of course, it’s always interesting to see what other WDW fans think about their happiest place on earth. I had a good time participating. Hope you do this again next year. Now it’s onward to Magic Madness! Can’t wait! WDW awards or Magic Kingdom awards? The nominees came from throughout the property, but by the looks of the winners, it would seem that Magic Kingdom holds an edge over the rest. The voting page shows the Haunted Mansion received 42 votes for Best Script and the Jungle Cruise with 41, but the Jungle Cruise won the award? Eric, the polls remained open later than they should have. The votes that put the Haunted Mansion ahead of the Jungle Cruise were cast after the 8:00 p.m. deadline (one at 9:40 and the other at 9:50). This category was tight all throughout the voting, so I am not surprised that it came down to the wire. It was definitely a tough choice!